We’d love your help. Let us know what’s wrong with this preview of Runescape Gold Strategy Guide by Lesley A. Harrison. 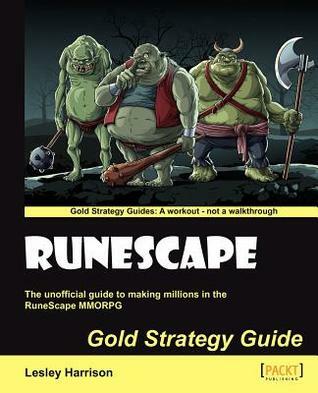 To ask other readers questions about Runescape Gold Strategy Guide, please sign up. New to runescape, or having trouble getting as much gold as you need? Then this book will get your quickly started, making money, and understanding and exploring the game. 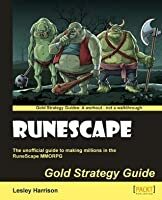 As someone who had spent quite some time in World of Warcraft, starting at the beginning, and slowly going through quests, earning small amounts of gold, only to find better ways later on, I found this book very helpful for RuneScape. You can skip all the time of trying to figure out the intricacies of the game itself, which wi New to runescape, or having trouble getting as much gold as you need? Then this book will get your quickly started, making money, and understanding and exploring the game. As someone who had spent quite some time in World of Warcraft, starting at the beginning, and slowly going through quests, earning small amounts of gold, only to find better ways later on, I found this book very helpful for RuneScape. You can skip all the time of trying to figure out the intricacies of the game itself, which will sometimes slow down, and even ruin your experience as you become frustrated. The author provides information about the advantages, disadvantages and limitations of using a free vs. paid account, so you can decide early on which is the right one for you, and what won’t be included in the free version. The book goes into different choices you can make that will affect how well you earn gold, such as choosing between the many gathering skills, artisan skills, and which things you should buy vs. craft, and how to decide. Besides teaching different ways to earn gold based on time, he also teaches other useful information, such as how to prepare and go through dungeons, getting the most money through trading, and even how to avoid scams that you are likely to come across.